that decayed in a flury. Tbe Soviet team responsible for the experiments in 1964—Georgy Flyorov, Yuri Tsolakovich Oganessian, Yu. 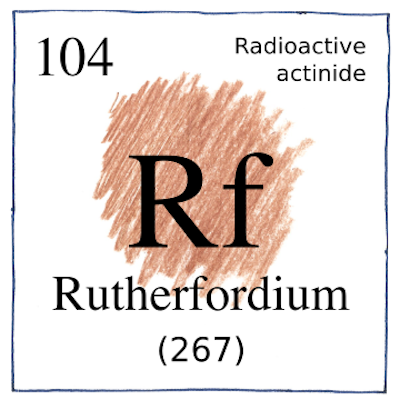 V. Lobanov, V. I. Kuznetsov, V. A. Druin, V. P. Perelygin, K. A. Gavrilov, S. P. Tretiakova, and V. M. Plotko—are sometimes given credit for also discovering rutherfordium; however, naming rights went to the Berkeley team because their results were more definitive.